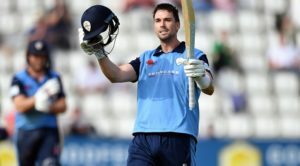 Former England international and Bangladesh High Performance Head Coach, Mal Loye joined Derbyshire in December 2016 as the Club’s new Development Coach. 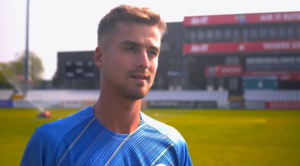 Loye, who featured in seven ODIs for England in 2007, will be responsible for the Club’s newly-created Development Pathway which will see the Club identifying and working directly with young cricketers from age 13 upwards. 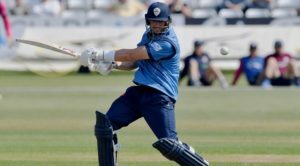 He will also be working closely with the Cricket Derbyshire Academy in partnership with the University of Derby and First XI players. The appointment completes the Club’s new coaching structure, which was announced in September, led by Director of Cricket, Kim Barnett. The former opening batsman made 264 first-class appearances during his playing career, from 1991 to 2011, scoring 15,329 runs at an average of 40. Since retiring from the game, Loye, an ECB Level 4 Coach, has held a number of coaching roles within the game including Batting Coach at Natal and High Performance Head Coach with Bangladesh.